2017 Marching Music Listen Here! WELCOME TO ANOTHER GREAT YEAR OF PANTHER BAND! It looks to be a great year for the Panther Band. You get out of it what you put into it, so work hard and do your best!! Welcome to the Porterville High School Band Web Site. Keep up with what is happening by checking in to this site frequently. The Panther Band is an advanced level marching and concert band that performs and travels throughout California and the United States. 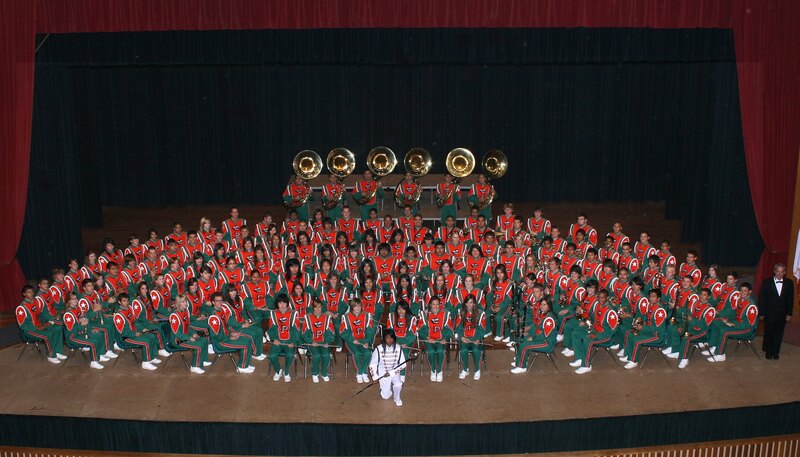 The band has marched in six Tournament of Roses Parades, presented solo concerts at The Kennedy Center, Lincoln Center and given two Carnegie Hall performances. We have also performed many halftime and pre-game shows for the Rams and SF 49ers. We completed to our ninth East Coast Tour in 2014. We visited New York, Philadelphia, Baltimore, Gettysburg, and performed at Arlington National Cemetery, The World War II Memorial, and the Independence Day Parade in Fairfax Virginia. We are now preparing for our 2017 tour to Honolulu, Hawaii! Panther Band Parents will meet October 19, 2017. Chair Auditions will begin after Thanksgiving break. Please open and download all of the important information you find below. An integral part of our organization is parent involvement. The parent meeting schedule is found in the Start of School Info. Packet Read the Information Packet (Panther Band Handbook) for all band information. Please make sure that you have white marching shoes: Drillmasters or Dinkles, suspenders, white gloves and calf length white socks!